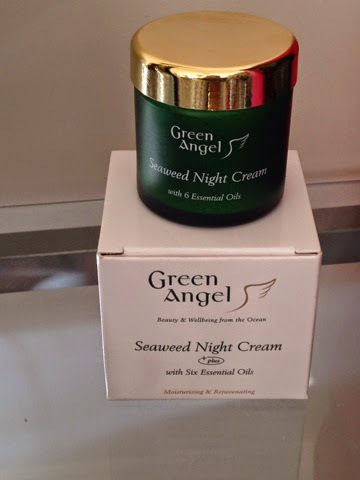 If you read my first review on the green angel products you know that I started off with the cleanser and then added the toner and moisturiser to my routine. You'll also know that I love them!!! But for a while now there has been two things I've wanted to add to my skincare routine. The first being an eye cream and the second a good night cream. My reasons for wanting to add these are the fact that I've just hit 27 (eeek!!) and I've read that you should start using eye cream in your early 20's, prevention is better than cure and all that. The other main reason is the time of year. Coming into Autumn I start to use the central heating again and the heat in the car which combined with the air-con at work causes my skin to get really dry and irritated. I've also found that since I've returned to work and wear make-up every day again that I've had a little sore red patch beside my eye as my eyes are so sensitive. The night cream feels slightly heavier than the day cream, which is so light I use it on my clients before I apply make-up. I've been applying the night cream every second night after I've cleansed and toned and applied my eye cream. 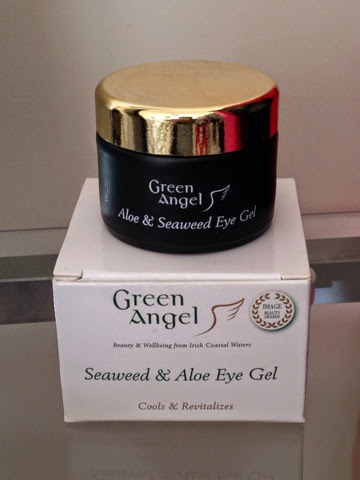 I've really noticed a difference in my skin since I've started using the Green Angel products. Before hand I wouldn't of had what you'd call problem skin but it was really dull and unhealthy looking. Whereas now it feels in much better condition. One of the things I love the most about these products is my smell!! I said in the last review that the reminded me of being at a spa and they really do. They smell so fresh and natural that I actually enjoy the smell of them while I'm going to sleep.